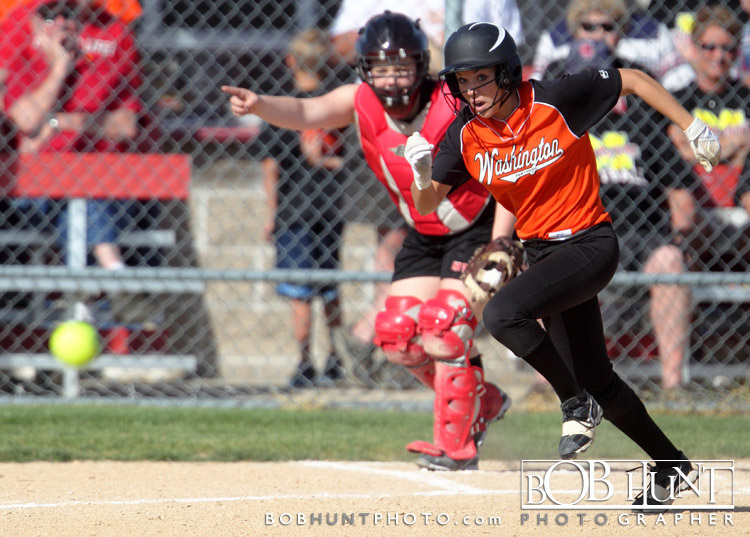 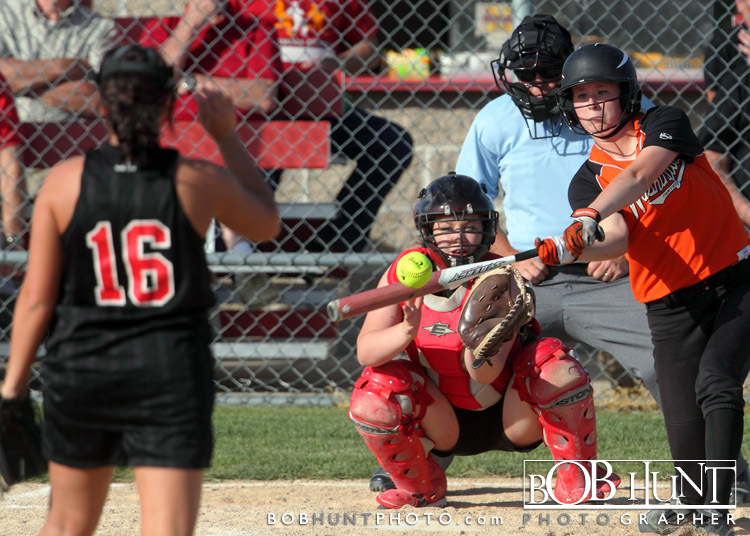 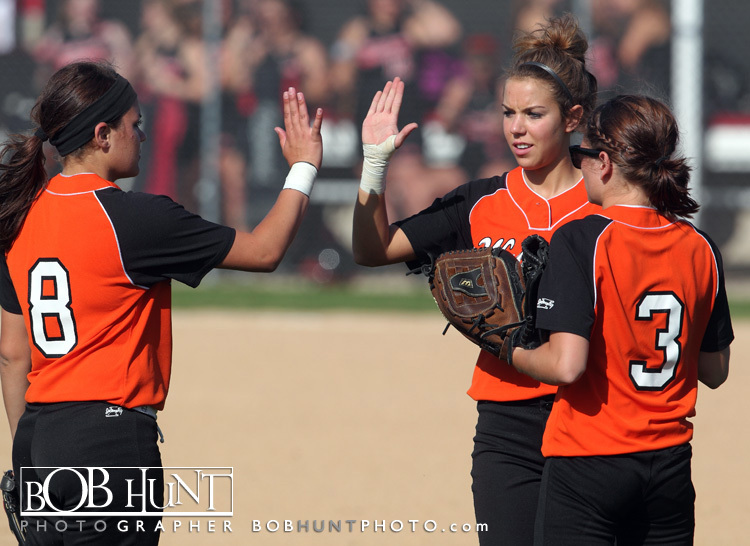 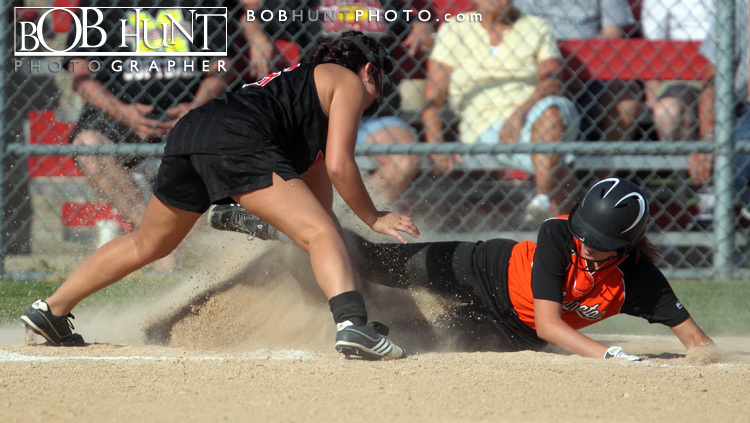 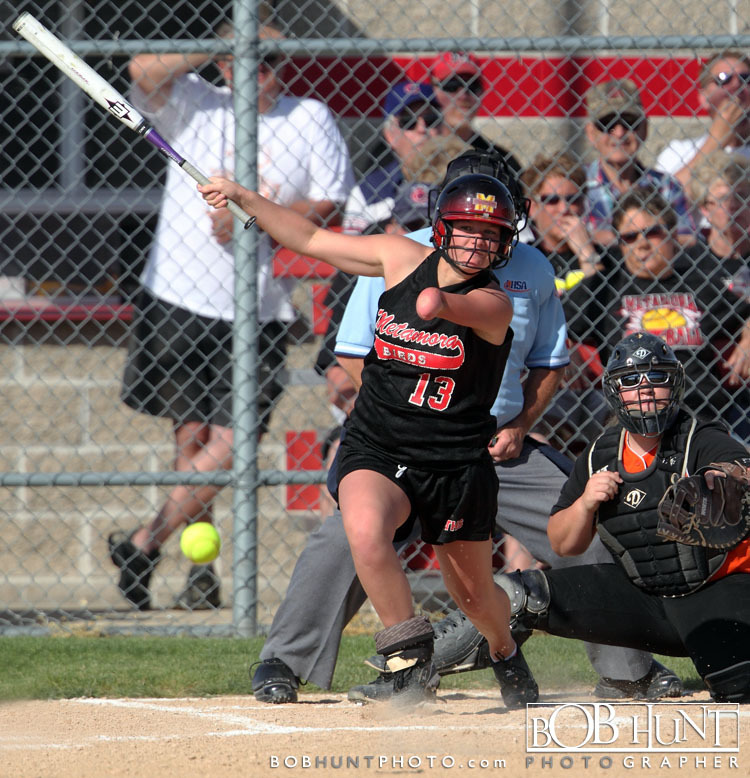 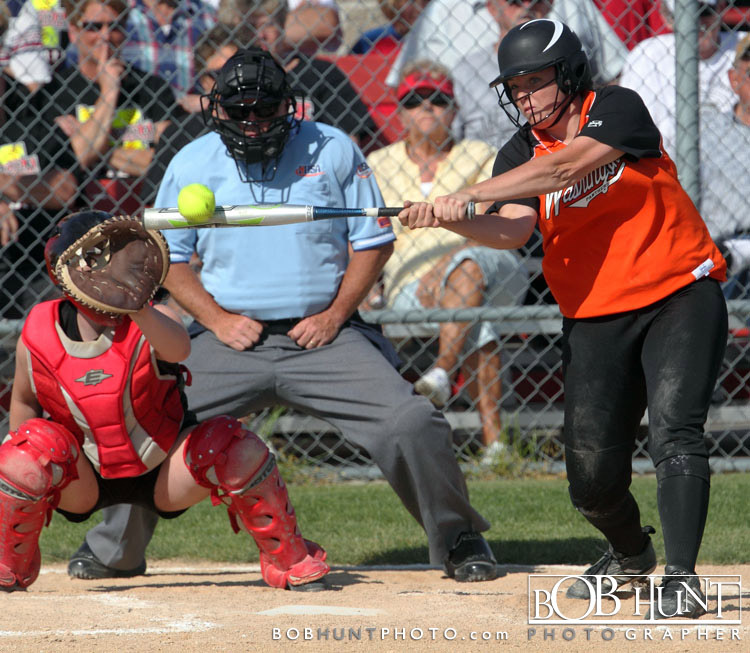 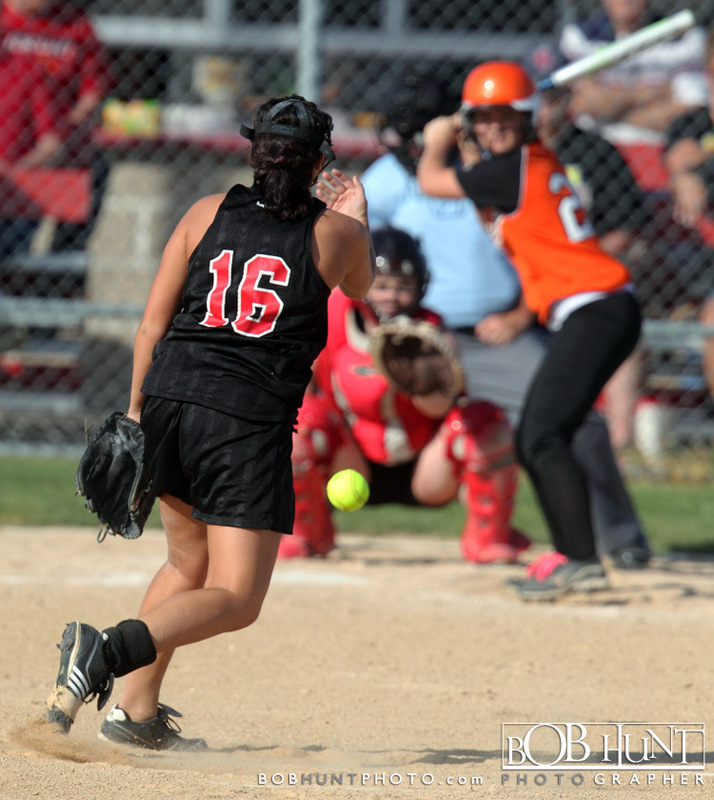 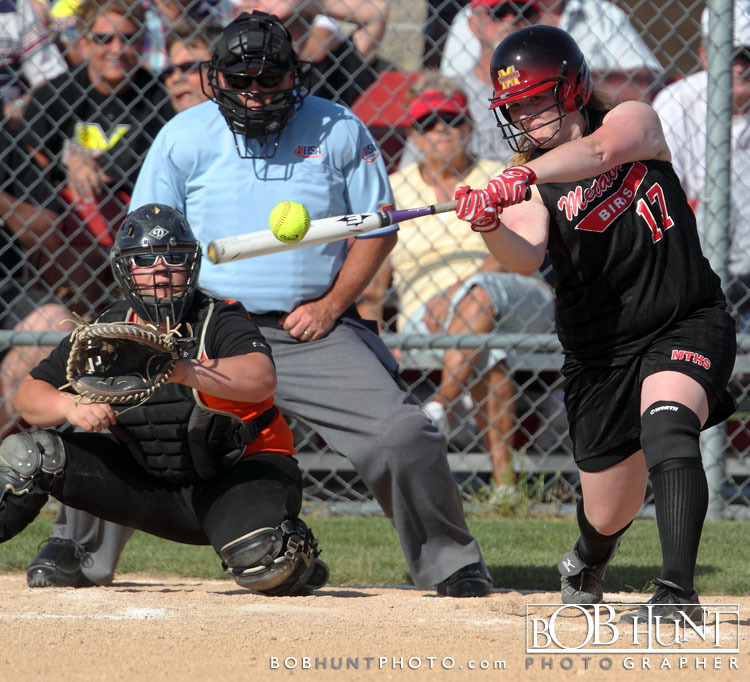 The Metamora Lady Redbirds (29-3, 12-1) scored a unearned run in the bottom of the sixth inning without a hit to defeat the Washington Panthers 2-1 in Mid-Illini softball Tuesday afternoon. 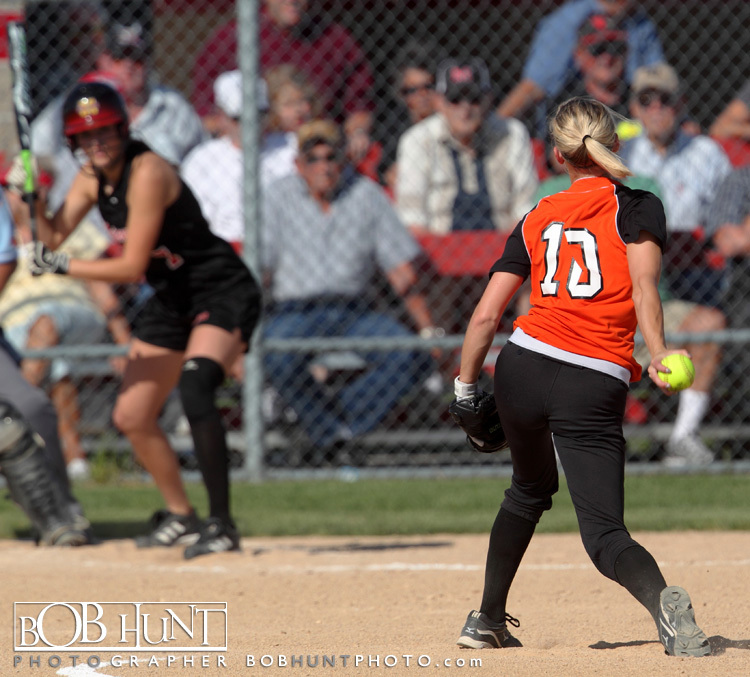 Junior Erica Phillips threw a one-hitter with six strikeouts, went 2-for-3 at the plate and drove in the first inning. 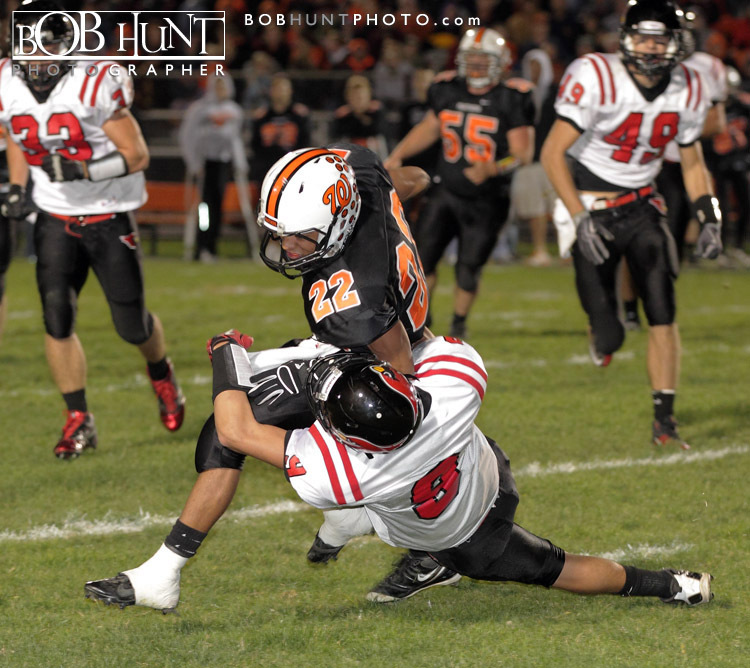 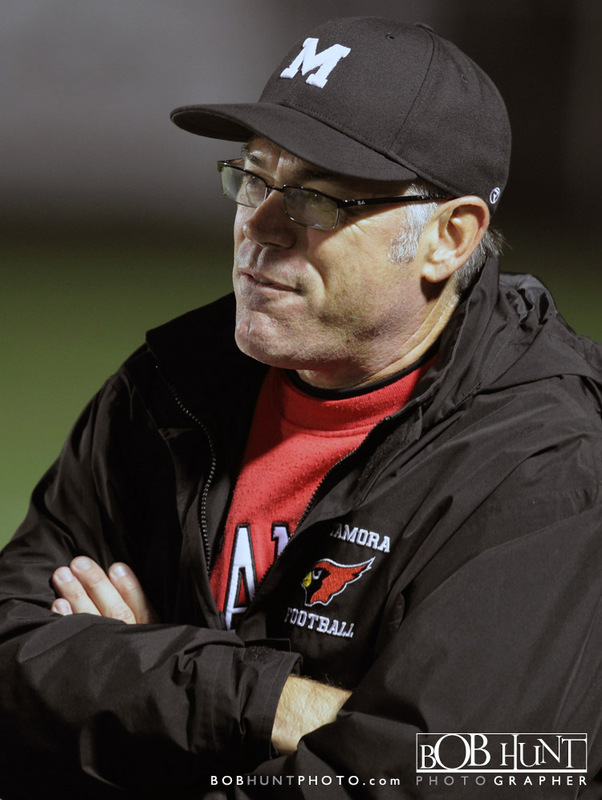 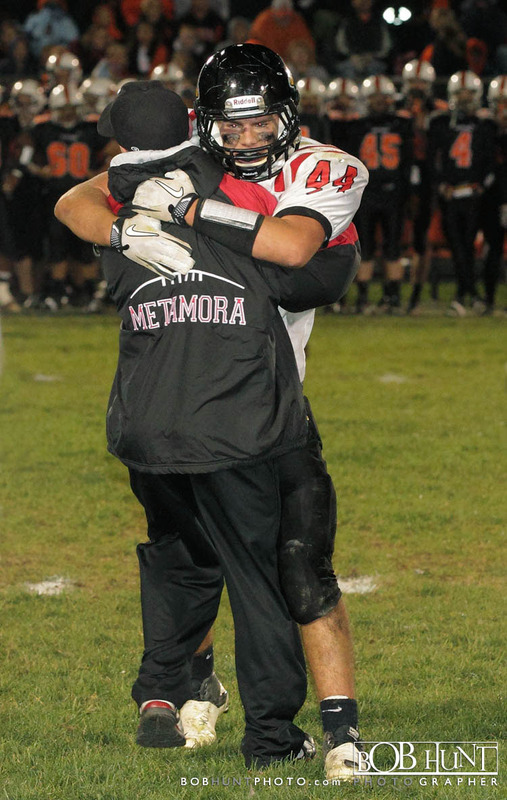 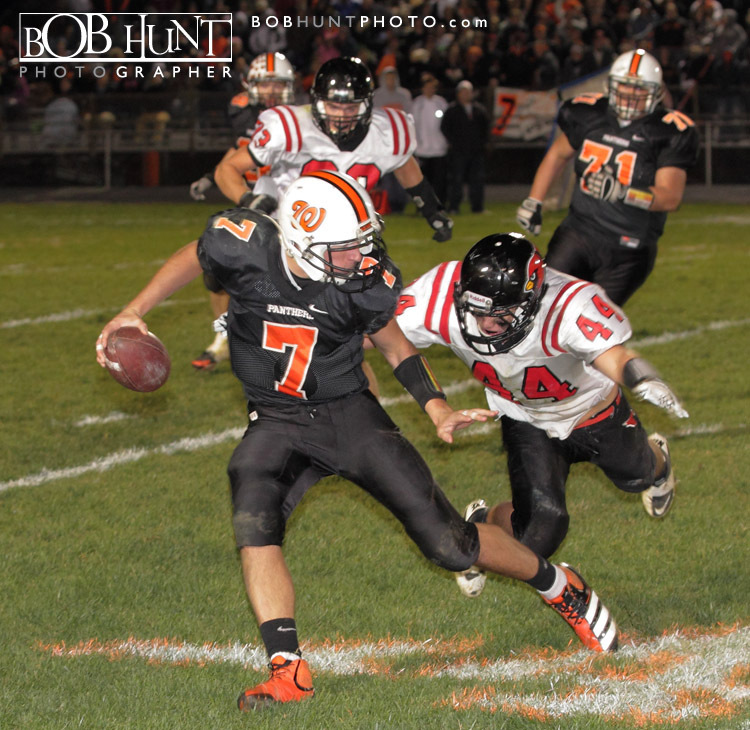 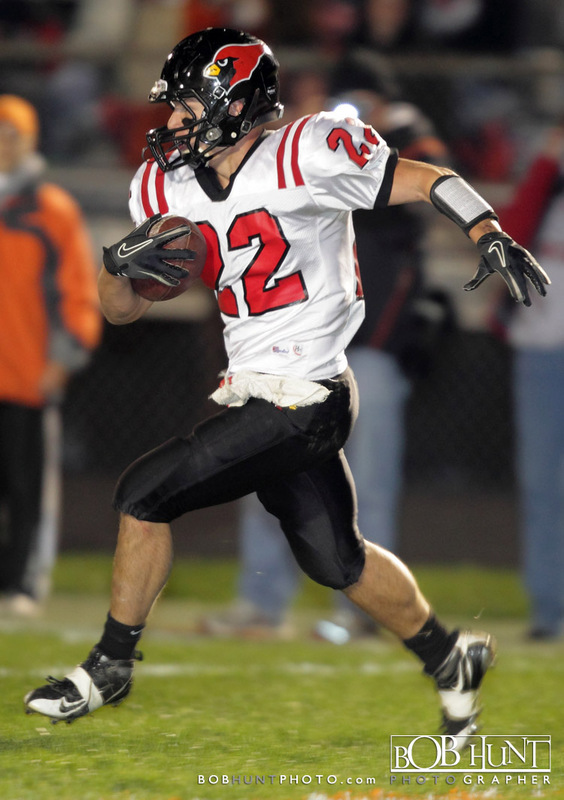 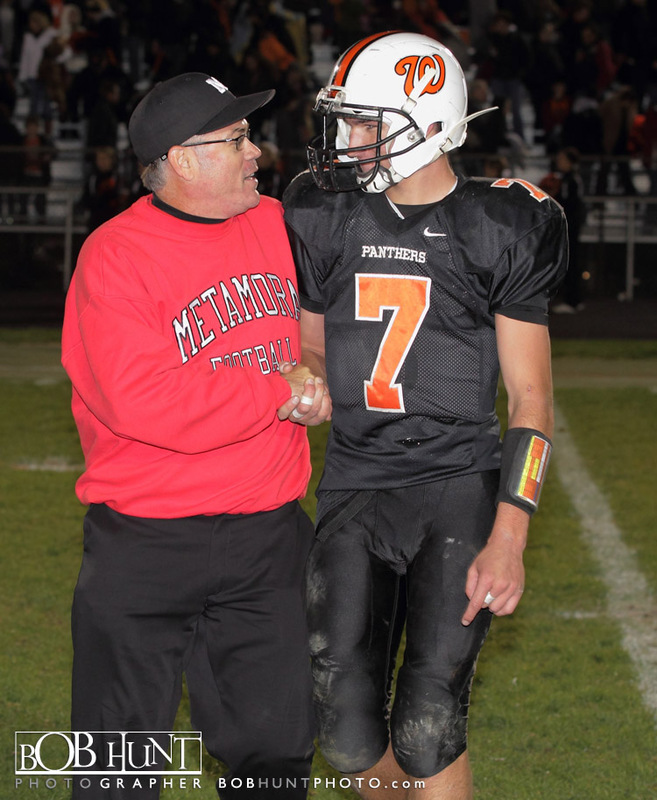 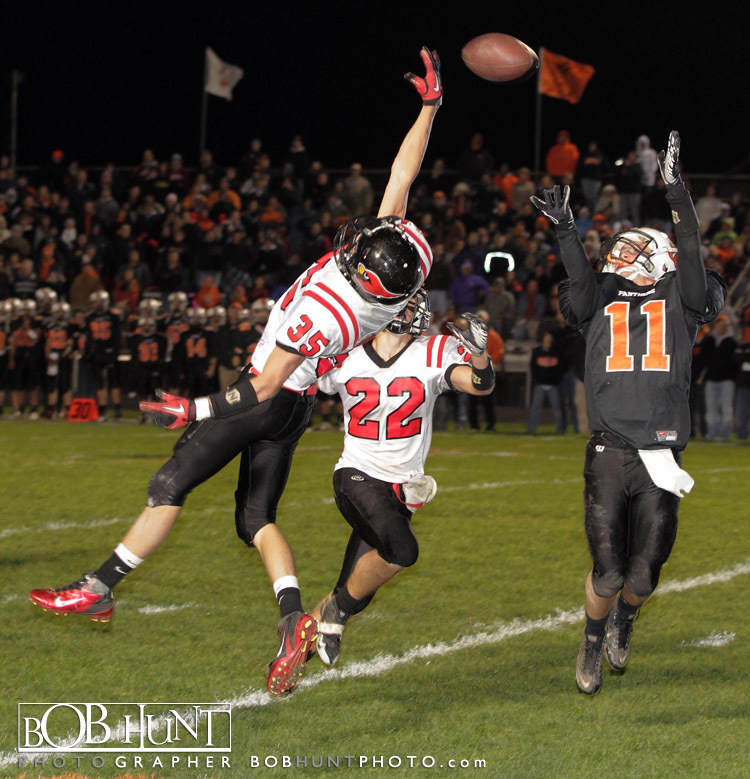 Metamora High School (6-2, 5-1), the defending Mid-Illini Conference champion ranked #7 in the IHSA Class 5A, beat the #2 ranked Washington Panthers (7-1, 5-1) 27-24 at Babcook Field in front of an estimated 6,000 fans. 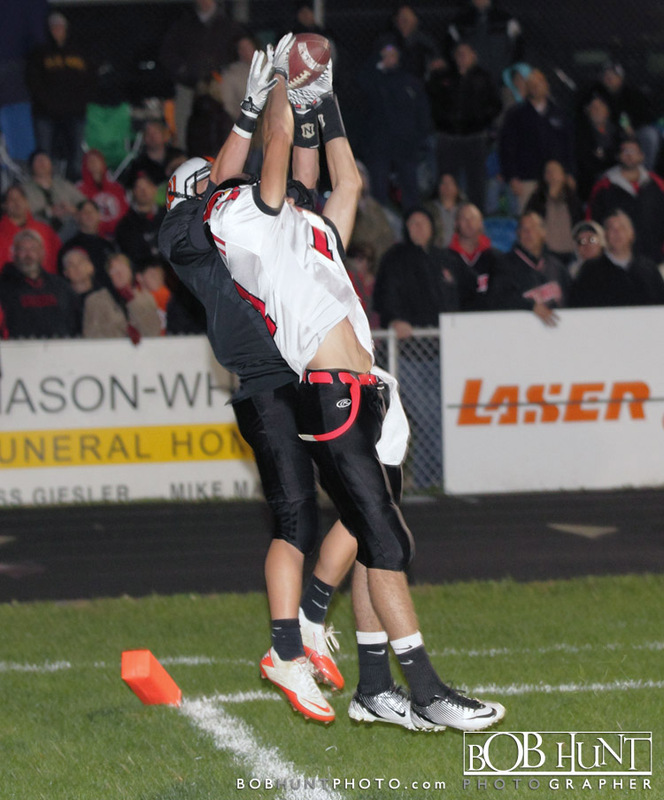 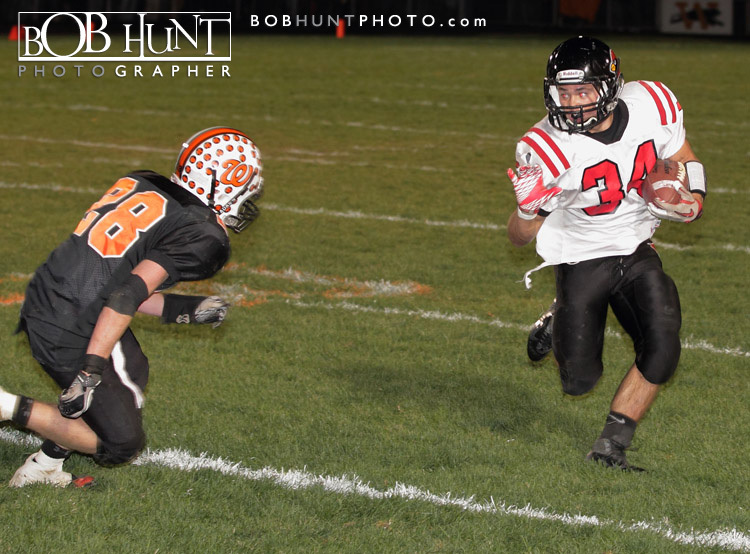 Dekota Doerr scored the winning touchdown in the games final minutes. 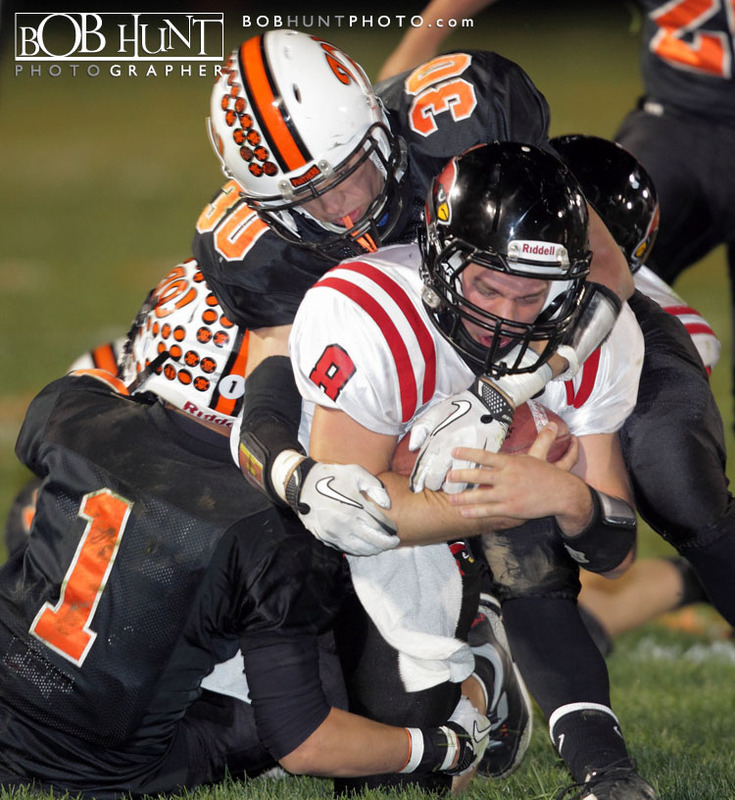 The Redbirds defense picked off Panthers senior quarterback Isaac Fisher twice after that to preserve the win. 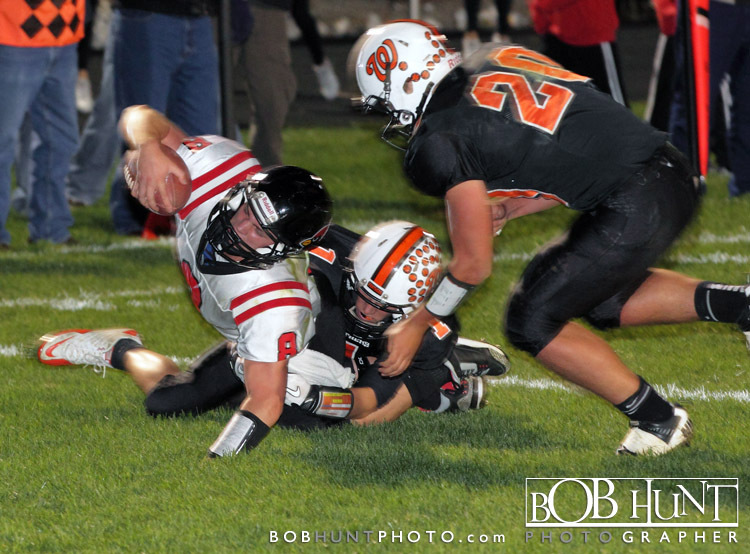 Before the start of the game there was a check presentation to Easter Seals for $5,500.00. 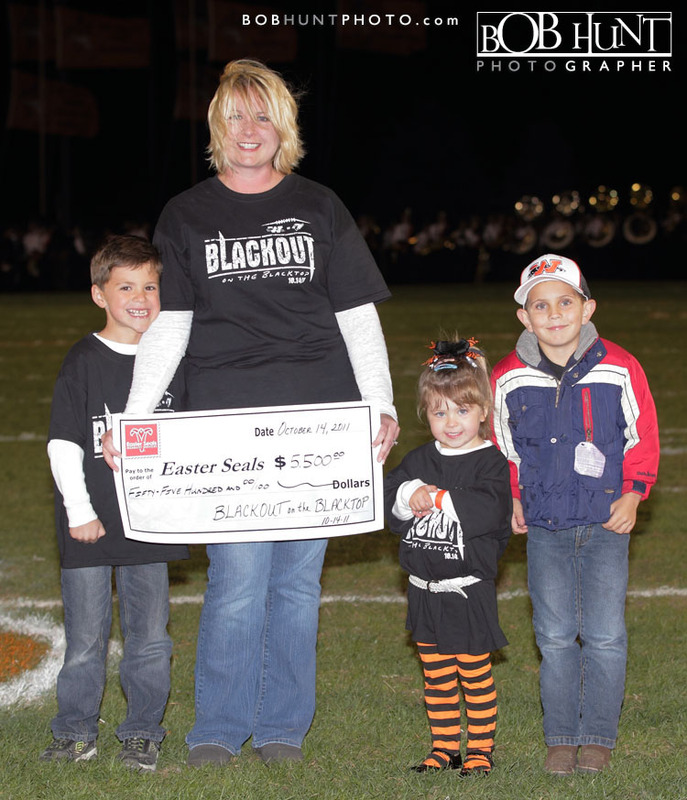 The money was raised by both schools by selling special Blackout on the Blacktop T-shirts.